Washington, D.C. – The names of seven American service members will be engraved on the black granite walls of the Vietnam Veterans Memorial, and the status designations will be changed for five others whose names are already on The Wall. These changes will bring the total number of names on the Vietnam Veterans Memorial to 58,307 men and women who were killed or who remain missing in action. On Sunday, May 10 at 10 a.m., VVMF will host the annual Name Additions Ceremony, during which the changes will be commemorated. Each spring, VVMF works with the Department of Defense to make sure The Wall is accurate. Names are added for those service members who have met the Department of Defense criteria for addition to The Wall, having sustained wounds in Vietnam from which they eventually perished. Those service members who in the last year were returned or accounted for will have their statuses changed from MIA to KIA. Beside each name on the memorial is a symbol designating status. The diamond symbol denotes confirmed death. The cross represents missing in action. When a service member’s remains are returned or accounted for, the diamond is superimposed over the cross. 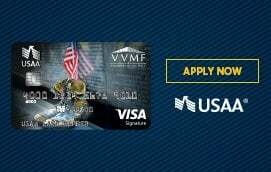 The Vietnam Veterans Memorial Fund (VVMF) is the nonprofit organization that built the Vietnam Veterans Memorial (The Wall) in Washington, D.C. in 1982. VVMF is dedicated to preserving the legacy of The Wall, promoting healing and educating future generations about the impact of the Vietnam War through programs, ceremonies and education. Three decades later, the mission continues as VVMF raises funds to build the Education Center at The Wall. The Center will be an interactive learning facility on the National Mall where our military heroes' stories and sacrifice will never be forgotten. The Education Center will feature the faces and stories of the more than 58,000 men and women on The Wall and honor America's Legacy of Service, including those serving in our nation's Armed Forces today. Time Warner is the Lead Gift Benefactor in the campaign to build the Education Center at The Wall. To learn more about VVMF and the Education Center at The Wall, visit www.vvmf.org or call 866-990-WALL. You can read more about this year's name additions and status changes on the VVMF blog.